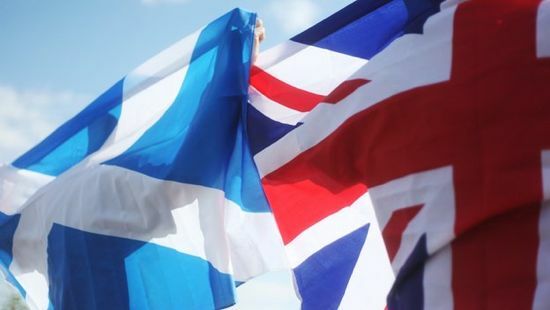 Tomorrow, Scotland will decide whether or not to formally split from England. I honestly don’t know how I’d vote if I were a Scot. There’s the Wallace-and-Bruce emotional case, and then there’s the “Rule Britannia” emotional case. If you look at the facts, you can make a case for both sides. But all that aside, there’s one fact I find highly disturbing: the “Yes” campaign has purposely not told Scotland what independence will look like. Will Scotland be able to keep the pound? Will Scotland join the EU? How will Scotland relate to England if they split? Will Scotland become more socialistic or more capitalistic? We’ll figure all that out after the election. Worse, this is evidently being done on purpose: when the results of “Yes” are left vague, everyone is free to use their imagination to fill in the blank. “Just imagine the perfect Scotland and assume that’s what you’re really voting for!” Who wouldn’t jump on that bandwagon, assuming it’s expressed more respectably that I just said it? Of course, at the end of the day, Scotland has a right to decide whether or not they want to be independent. But all this pseudo unity will fall apart as soon as the election is over if “Yes” wins, and all those suppressed questions and rival interests will take over Scotland from one end to the other. All of this makes what happened 227 years ago today all the more remarkable. 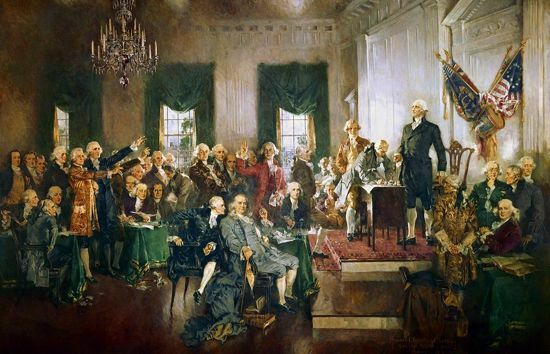 On September 17th, 1787, the United States Constitution was signed. When we declared independence from Great Britain, we didn’t know what it would look like either. Of course, in our case, no one was trying to postpone an important discussion. We just didn’t have time to talk about it between battles and skirmishes with the Brits. Still, think what a monumental task: you split from the Mother country, and then you have to rebuild everything from scratch. What sort of country are you going to have? There are so many rival interests and parties – how are you going to reconcile them? And without the pressure of fighting a common enemy to bring temporary unity, everyone starts arguing and fighting and threatening to walk out. This is what our Founding fathers were up against. And now, as we watch the Scottish people wrestle with those same issues, we should let that increase our appreciation for what our founders accomplished: against all odds, with the blessing of Heaven, they developed the most sublime example of representative government in the history of mankind. Yes– the U.S. Constitution was not a foregone conclusion– it took a lot of persuading and negotiating to ratify it.